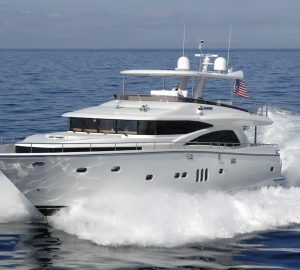 Luxury charter yacht IRINA (ex Irina Esc) was designed by Bill Dixon and built by Royal Denship in 2007, this sleek and modern yacht measures 25 meters (82ft) and can accommodate 7 guests comfortably while cruising at exhilarating speeds of up to 43 knots, she is available for charter in the Caribbean. 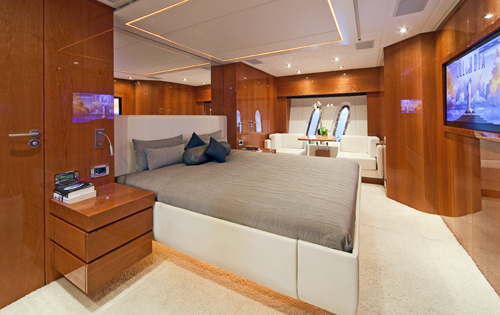 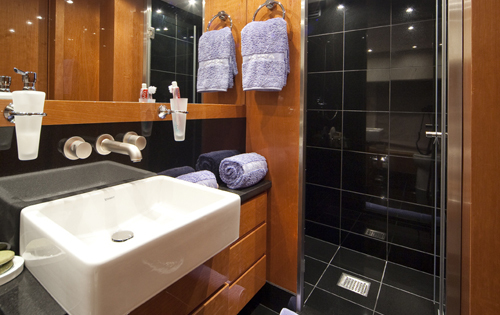 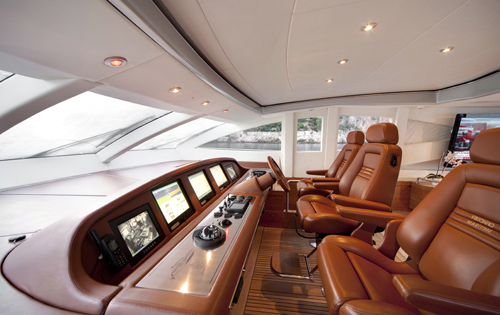 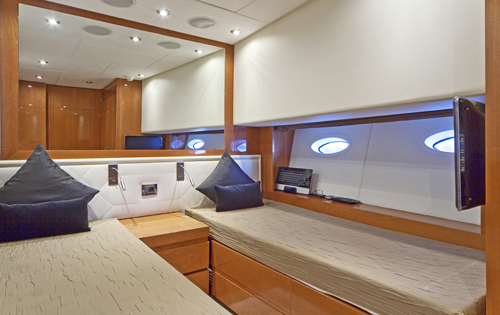 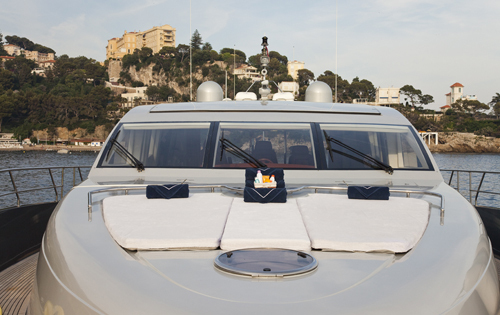 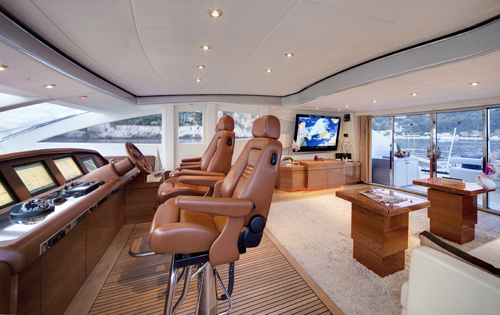 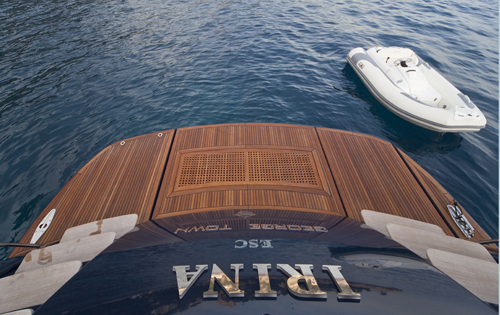 Motor Yacht IRINA has a stylish and roomy interior with state of the art amenities. 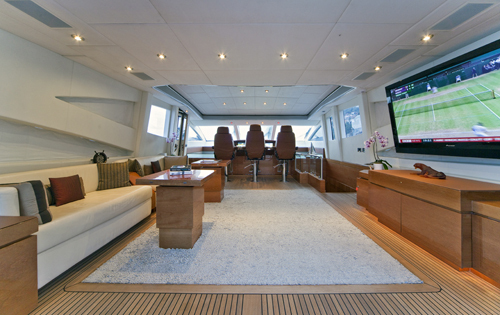 The upper salon has a neutral yet warm and inviting décor with a cream leather sofa and cleverly designed expandable tables to port and a large flat screen TV to starboard, perfect for movie buffs or sports enthusiasts; a sunroof / moon roof adds a unique characteristic to the space. 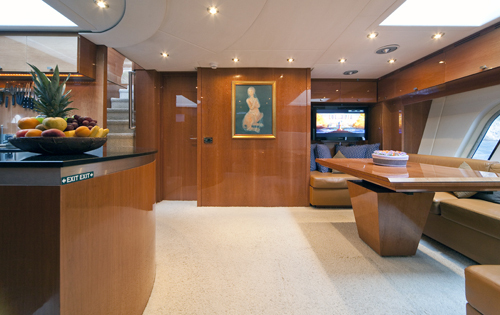 Below decks is the galley with a country style eating area. 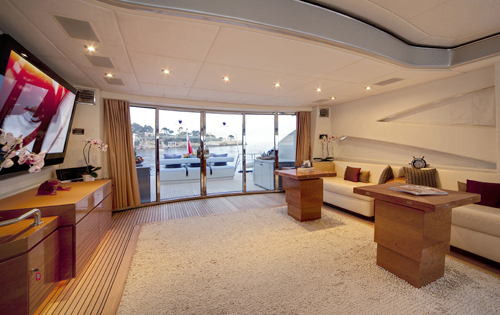 M/Y IRINA offers guests plenty of external living areas; the aft deck is adjacent to the salon through large sliding glass doors and features an alfresco dining option with an optional retractable Bimini allowing the multi-use space to quickly be converted into a sunbather’s paradise. 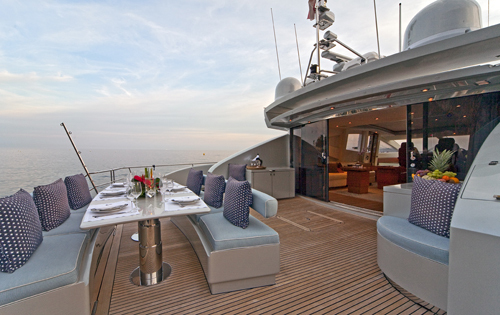 Just aft is the extended swim platform for easy access to the water toys. 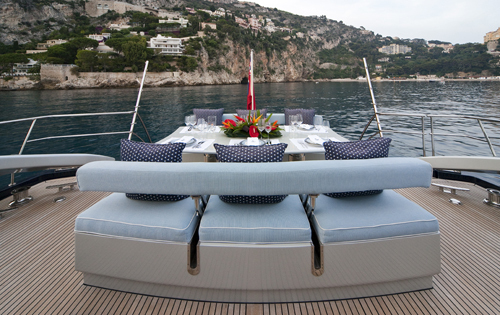 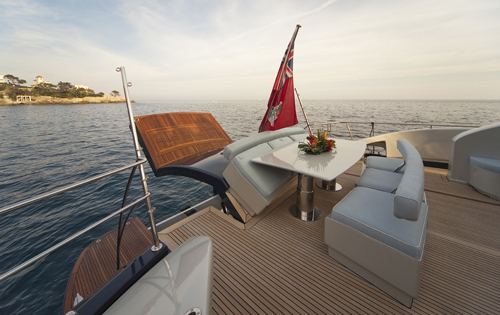 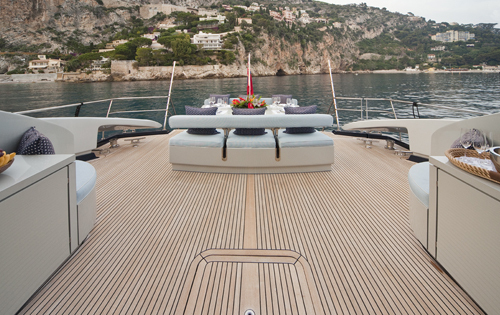 Charter yacht IRINA offers further outdoor relaxation with a triple sunpad on the foredeck. 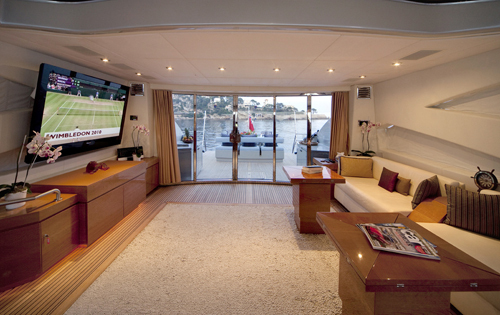 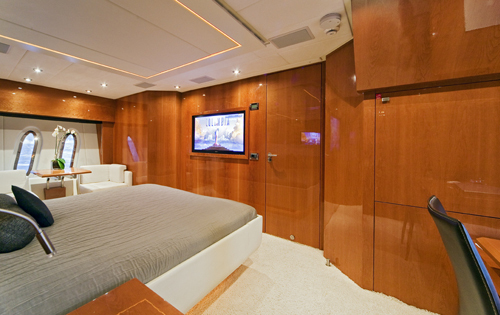 The yacht IRINA has been equipped with a XBMC Home Entertainment System allowing separate access from every cabin and there is 3G and Wi-Fi throughout. 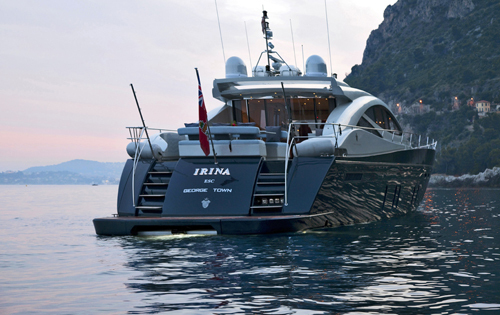 Motor yacht IRINA has a beam of 6.45 meters (21.2ft) and draft of only 1.5 meters (4.9ft), thanks to her planing hull design. 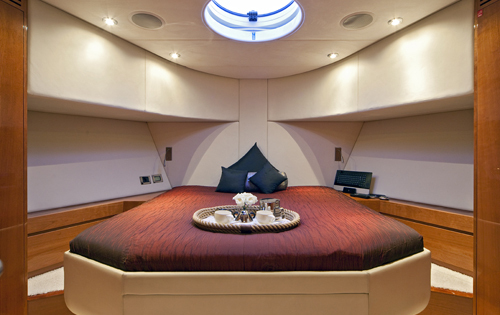 Charter yacht IRINA offers accommodation for up to 7 guests in 3 cabins, the master cabin is full beam of the yacht aft and features a queen size bed, dressing table, additional seating, TV/DVD and en-suite facilities. 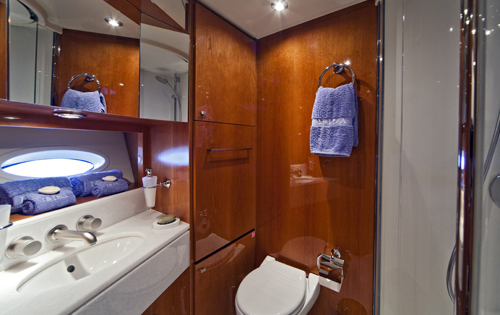 The VIP cabin is forward and full beam of the yacht with a queen size bed, TV/DVD and en-suite, while a further twin cabin offers 2 single beds and a Pullman berth with TV/DVD and en-suite facilities. 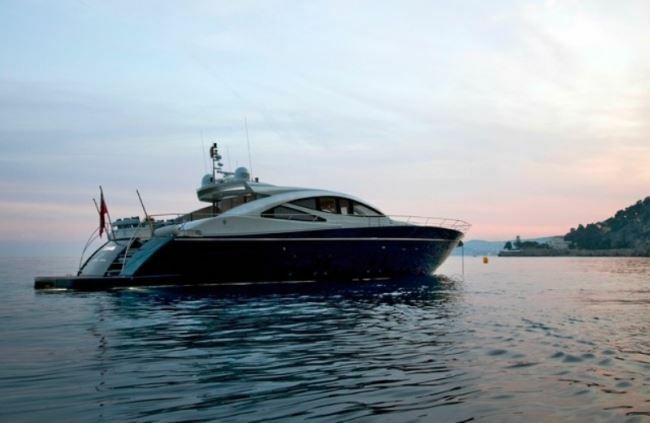 The Motor Yacht IRINA (ex Irina Esc) has some great amenities which include: Tender, Waverunner (2-seater), Seabob, Wake board, Snorkeling equipment, XBMC Home Entertainment System allowing separate access from every cabin, 3G and Wi-Fi throughout, TV/DVD in the salon and all cabins.